Three runs for Martyn Meade - most recently finishing a good third in the Group Three Solario at Sandown behind 2,000 Guineas favourite Too Darn Hot, who has yet to be beaten in four starts. This son of Iffraaj also finished in the placings behind Dark Vision in the Group Two Vintager at Glorious Goodwood, who returned in fine style the other day at Chelmsford. Form stacks up nicely from his three outings, but now needs to present himself as a winner and not next best. Very interesting contender, given he is three from three for trainer Gay Kelleway, and took his juvenile campaign internationally recently, with a victory in a Qatar Group Two. His two British outings have both been at Kempton - so is yet to tackle the grass, but demands respect on what he has achieved so far. Will have more on his plate, but remains open to further improvement. Gerald Mosse - who is in good form at the moment, takes the ride. Three-year-old son of Dark Angel was well on top here twelve months ago on his racecourse debut, but a knee injury haltered his progress as a juvenile for Mrs Caroline Ingram. Returned to the track to race over seven in a Novice Stakes at Wolverhampton just a couple of weeks ago to upgrade the fitness, and now looks to kick on with things. Every chance he is more a sprinter than a future miler. Interesting jockey booking with Maxime Guyon coming over from France, who rides Momkin; a winner at Newbury over seven furlongs on good to firm last term. After his third on debut at Salisbury, his only other outing as a two-year-old saw him shockingly beaten at Ffos Las at odds of 1/7 - of which the winner came out and did nothing on his next start. Long time ago of course, but must recover from that upset quickly to be involved here. Prince Eiji caught the headlines last year, having been purchased for 2,600,000guineas a yearling - making his debut with a smart win at Ascot. Failed to follow that up with any victory from his next two starts, but his best form outing did come when he finished third in a Group Three here over seven behind two smart horses in Arctic Sound and Bye Bye Hong Kong. Only beat one home on his October venture to France, and returns to home soil to give it another go. Won over a mile at Longchamp on his final start as a 2yo on good ground, but flopped on return at Meydan albeit on the dirt back in January. Pedigree suggested the dirt track would suit when that was clearly not the case, so switches back to turf at HQ, for where we saw him finish someway behind Guineas contender Jash on debut. Won at Doncaster impressively before his success in France, and every chance he can become a better horse this year. Hugo Palmer will bid to convert a set piece with this three-year-old colt, who is a perfect two out of two in the colours of Prince Khalid Abdullah. Both were short-priced mile triumphs on the All-weather - firstly at Kempton in December and at Newcastle back in January. Short break since to keep the legs fresh, and will hopefully bomb off the turf at the first time of asking. Just the one start for the only Haggas colt in the field - having said that, all ten horses are trained by a different trainer which is rare to see nowadays. He won on debut here in September at odds of 33/1 over seven furlongs on good to firm rather convincingly it would seem. A shame we never saw him follow it up, and arrives here once again in a much hotter contest. Does have the luxury of stall number one. Despite winning at Goodwood and Leicester at the start of the season and at the end of the season respectively, Watan's best form has come in defeats. On just his second start, he finished second to Charlie Hills' likeable Phoenix Of Spain in the Group Three Acomb Stakes at York, before failing to figure in the Solario behind Too Darn Hot, when clearly Ryan Moore had mixed up the tactics - rare that you say that. Really does need to settle, but still one to take seriously. 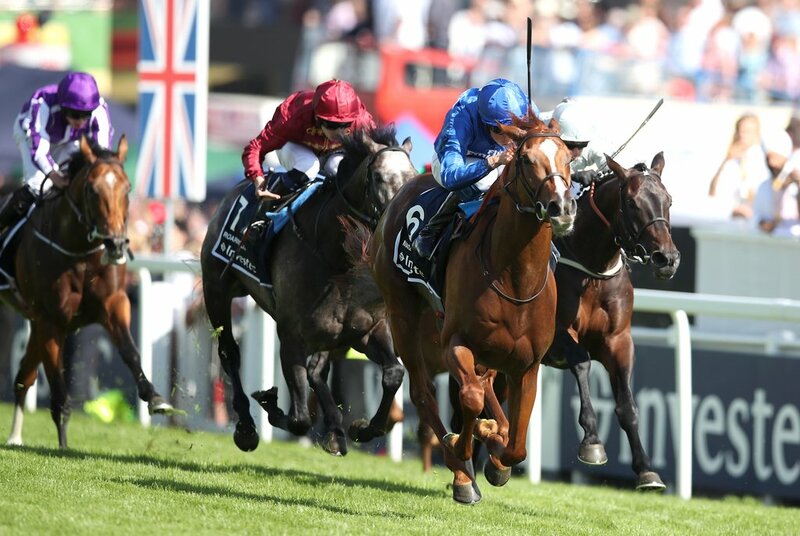 Zakouski looks the Godolphin horse to follow this season in the Classics at the minute, and will be a strong fancy for the Craven Stakes, for the yard that took it last year with future Derby winner Masar. This three-year-old colt won a nice novice at Kempton over seven in November, when upsetting Roger Charlton's highly-thought of Headman. Siblings to multiple Group One winners, and every chance this guy could be as special. Already single figures for the Guineas here in three weeks time, and can consolidate his chances with his second career victory.